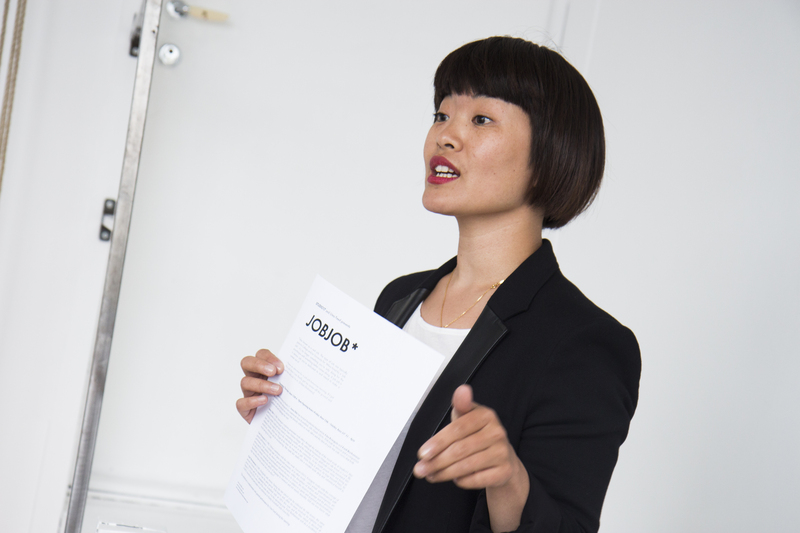 Performance during the opening of the exhibition JOBJOB, Studio17, Stavanger June 2014. Actress Uma Feed takes on the role as manager and producer during opening night. Studio 17 is an artist run gallery space in Stavanger, and visiting artists (Emil Borhammar, Lina Kruopyte and Anna Ihle) did not recieve any funding/support for the show. 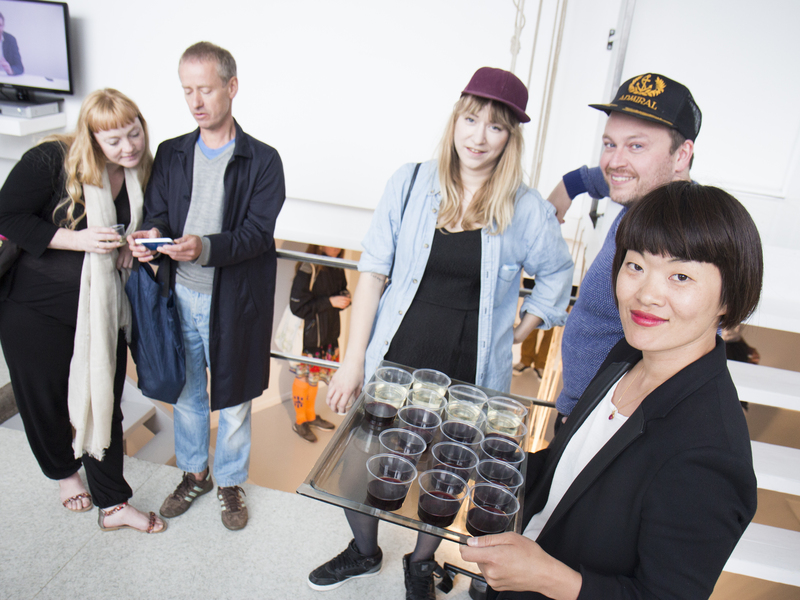 Uma Feed gave all visitors a warm welcome, made sure they always had their glass full, bragged about the artists and made sure that all visitors realized it´s a privilege, a gift, to have such successful artists visiting Stavanger.